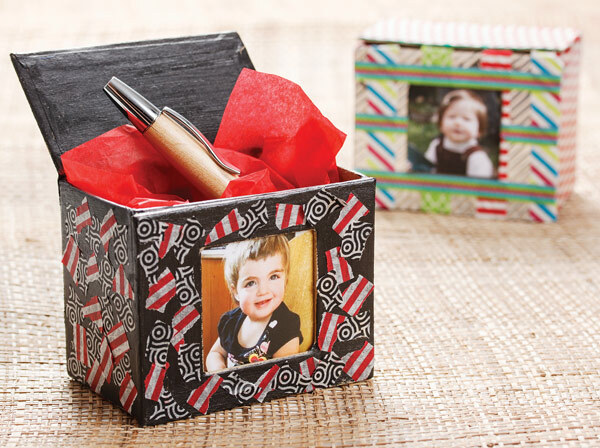 This Papier Mache Box is a great starting point for creating a unique gift box for Dad. Paint the box with Shimmer Paint and allow to dry. 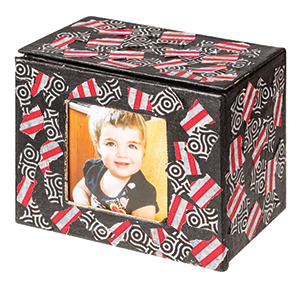 Arrange small strips of Washi Tape around the box. Insert a photo into the frame.